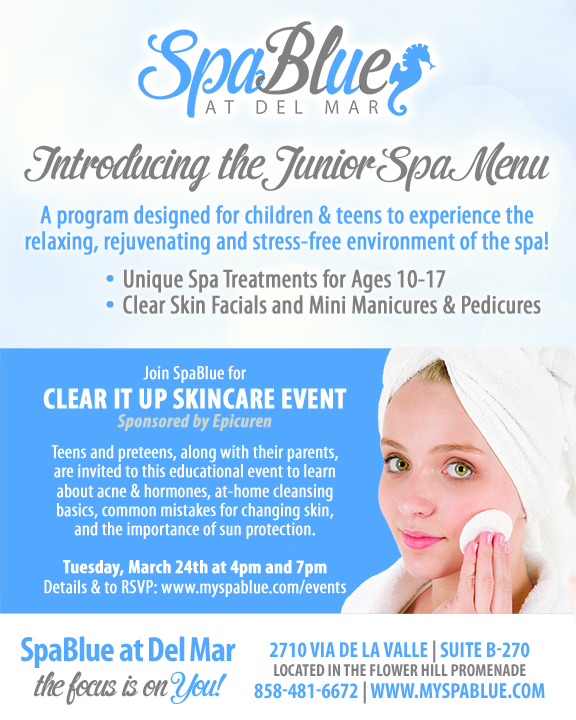 SpaBlue is coordinating a clothing drive for My Girlfriend’s Closet at their special Clear It Up skincare event to launch their new Junior Spa Menu! The event is FREE to attend, and we encourage attendees to bring a new or gently-used clothing item to donate to My Girlfriend’s Closet. All guests will receive mini goodie bags from Epicuren and light refreshments will be served.